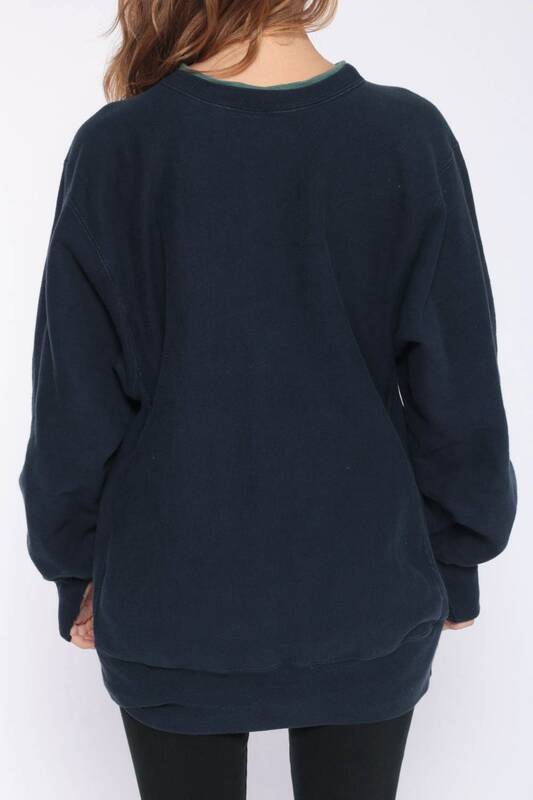 Vintage 90s sweatshirt by Champion in navy blue with green trim. Slouchy fit. Unisex. Made in the USA. Condition: Lightly distressed. 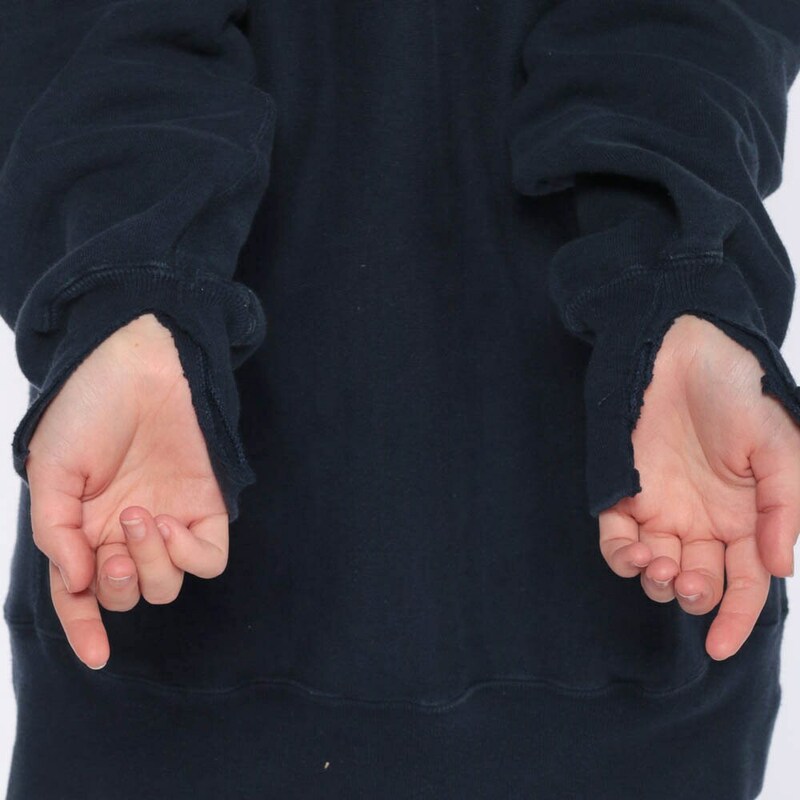 Sweatshirt is in overall good condition with the exception that both cuffs have been cut open on one side.